This very popular heavy duty tomato strainer is great for the home. The TSM Model “32197 #3 size” electric tomato strainer is designed for the preparation of tomato sauce, fruit and vegetable purees, jellies and jams, and a must for canning. 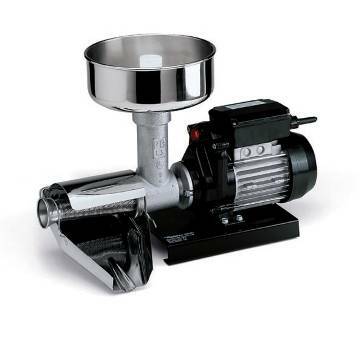 The unit features a heavy duty 400 Watt induction motor for continuous operation and is designed with all food safe parts that come in contact with food. Perfect for any home.